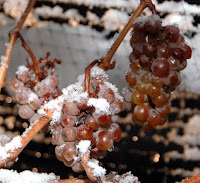 So from what I can gather it has been a terrible week for the Girondins, with a freak hailstorm wreaking havoc in a thin strip along the vineyards of Bordeaux's Entre-deux-Mers appellation - my in-laws were seemingly spared further down the river, noting that it was merely "un peux froid". 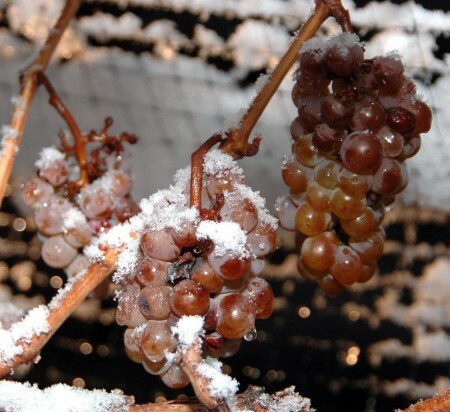 and this year's white Bordeaux? And speaking of a great deal of hard work getting aimlessly destroyed by an unpredictable European storm, Solvency II (do you see what I did there?) appears to have at least enough juice in the tank to have encouraged Moodys to survey practitioners on the preparedness of the industry to achieve compliance before the deadlines currently on everyone's lips (i.e. 2014-2015 for EIOPA Guidelines, 2016 for "go-live"). That survey is available here (short sign-up required, but worth it), with a very short summary here. The media have touched on the survey (here), but only seem to have read the summary, so I've picked through the whole shooting match to see what else was worth knowing. The sample is small at 45 contributors, but they have all been interviewed one-on-one in Q4 2012/Q1 2013, so the responses are not too dated, particularly as many Solvency II programmes have been running on meagre rations since January of this year. Coverage of 12 EU countries is included in the 45 people, with a decent split of size and insurance type. Majority of respondents were CRO/equivalent, with a few accountants, actuaries and programme managers thrown in for good measure, and just over half are on Standard Formula. Half are using Standard Formula to curb costs! In addition to that, 20% say that the Use Test is a barrier to using models! Solvency II project investment levels are "considerably more" in the UK and France compared to Germany - makes you wonder why they have such a long face! 67% have increased their control function staffing by 10% or more - 31% have increased by 50% or more. Only 7% note "capital reduction" as a perceived benefit of Solvency II, with 33% selecting improved capital planning (regardless of quantum) as a benefit. Only 6.7% say they are receiving "high" levels of support from their national supervisory authority. Seemingly the stats are a hostage to the sample - I'm sure the PRA would be apoplectic if this was the position of Insurers of Britain plc, but for me the big story is the indiscriminate swelling of Risk/control functions in smaller organisations that evidently are only ticking boxes. Feels a tad disingenuous to pump the staff numbers up to demonstrate compliance, but I suppose it's not me they need to satisfy!